RongRong and Inri, well-known Chinese and Japanese photographers, met each other for the first time in Tokyo in 2000. Since then, their professional and personal life blossomed together as one of those rare artistic duos able to forge the photography culture of a country. Experiencing themselves the lack of resources to welcome and empower photographers in China, they founded Three Shadows Photography Art Center in Beijing in 2007. In just a few years, with the agile speed possible only in China, what started like a humble passion project developed itself into the leading private institution in the country dedicated only to photography. The aims of this organization? Research and showcase Contemporary Chinese and International Photography; recover local photo history and masterpieces; collaborate with international institutions and museums; promote educational programs; discover and support younger generations of Chinese photographers. These purposes are shaped in an impressive display of spaces and initiatives. The two branches in Beijing and Xiamen cover together almost 10,000 square meters, and each of them comprises exhibitions galleries, a photo book store, a café and a professional darkroom. To support education and cultural exchange Three Shadows built an artist residence and the biggest photobook library in China with more than 5,000 books. 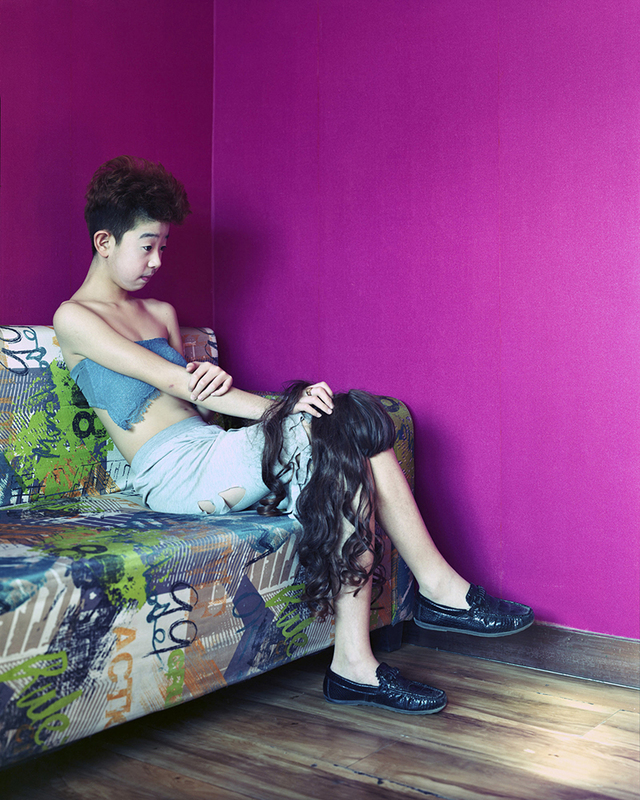 Moreover, the institution organises annually Jimei x Arles International Photo Festival, co- created by RongRong and Sam Stourdzé, the director of Les Recontres d’Arles. Three Shadows has held 90 academic exhibitions in ten years and welcomes 100,000 visitors every year. 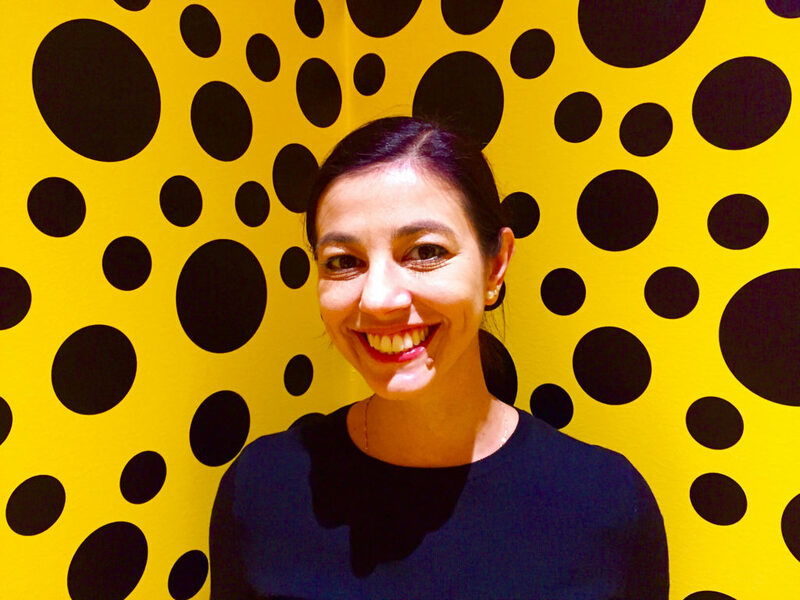 YP interviewed Nataline Colonnello in December 2018. She is the Director of Three Shadows in Beijing, art critic and curator specialized in Chinese contemporary art, living in China since 2001. The Three Shadows Photo Award turned 10 this year. Can you describe three main features of young Chinese photographers? In the same spirit of innovation that led to the establishment of Three Shadows Photography Art Centre in 2007, the TSPA came from Three Shadows co-founders RongRong&inri. It has been a way to give emerging Chinese talents the chance to present their experimental work to an international jury of influential experts, academics and other photographers. With the exception of RongRong – who is the sole permanent jury member, representing Three Shadows – the composition of the jury committee changes annually. In the case of the 2018’s edition, the panel of jurors included: Clément Chéroux, Senior Curator of the San Francisco Museum of Modern Art, USA; Pi Li, Senior Curator of the Hong Kong M+ Museum, China; Sam Stourdzé, Director of Les Rencontres d’Arles and co-founder of Jimei x Arles International Photo Festival, France; Fumio Nanjo, Director of the Mori Art Museum, Japan; and RongRong. Every year we receive around 300 to 600 applications from emerging Chinese artists all over the world. Held for a decade with the support of Shiseido, the TSPA includes the main prize of 80,000 RMB (ca. 10,000 EUR) and the 20,000 RMB (ca. 2,500 EUR) Shiseido Award. Over the past 10 years, 200 artists have entered the final stage of the competition and won the opportunity to showcase their work at Three Shadows – and at other venues around China where the show tours after Beijing. Up until now, the Three Shadows Photography Award has served as a significant launch pad for many young Chinese photographers who in the meanwhile gained undeniable international recognition. Among some of them, I would like to mention Chen Zhe (b. 1989), Jiang Pengyi (b. 1977), Lin Zhipeng (aka 223, b. 1979), Ren Hang (1987-2017), and Zhang Kechun (b. 1980). Thus we can see it as representing some of the trends or characteristics of the medium today in China. Rather than talk about three characteristics of young Chinese photographers, I’ll talk about three exceptional young artists who have shown work in the TSPA and have some qualities that define contemporary photography in China. The laureate of the 2018 edition of the Three Shadows Photography Award is Wang Tuo (b. 1984). This is an interesting outcome as the winning work is technically not photography piece but a video work entirely constructed from film stills. Entitled “The Interrogation”, the work recounts two parallel stories based on the subjects’ role exchange and fluid power relations. In the main story, the character goes through a job interview and becomes a police officer in charge of interrogating a suspect criminal. The secondary – and visually more abstract – narrative is inspired by Ingmar Bergman’s movie “Persona” (1966), a psychological drama exploring the dual relationship between a nurse and her patient. This work reveals the artist’s consistent interest in the darkest sides of human psyche, evoked here through lucid close-ups on the characters’ body language and the subtle variations of their facial expressions during their interactions in the interrogation session. 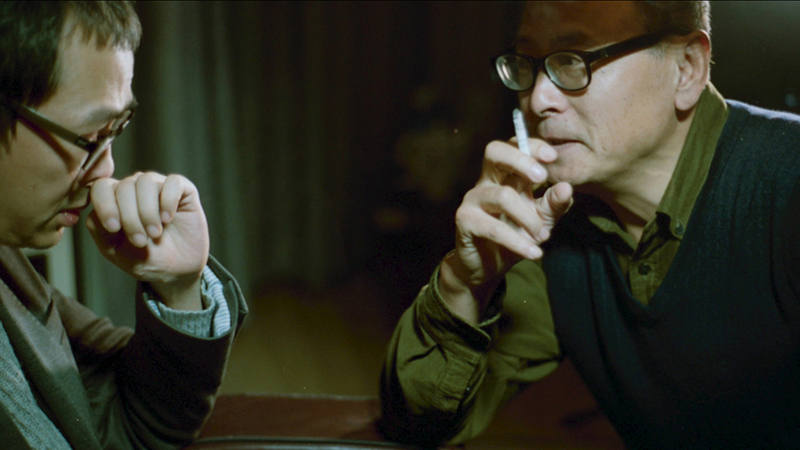 Wang Tuo’s voyeuristic gazes are at the same time dis- passionate and intrusive. “The Interrogation” is treacherously deceptive – it looks so real. Different from aesthetically glossy works like “Addicted” (2017), it leverages its seemingly documentary appearance. It is a visual juxtaposition of ordinary, unpolished snapshots aimed at registering the unfolding of a specific process. This technical ploy creates a fabricated objectivity – an authenticity which the observer unconsciously tends to believe. The camera flicks back and forth between specific details and overall views of the enclosed environment. It follows the characters with an almost clinical eye, reminiscent of that of the specialist observing his subjects from the next room while they are con- fronted with a given challenge in a lab study case. Their dialogues are soundless, yet a sense of growing psychological uneasiness is artfully rendered through the combination of an exceptionally effective visual storytelling, voiceover narration, and ‘cardio- paced’ noises designed to resonate with the subjects’ – and the observers’ – increasing inner tension and inability to divide fact from fiction, truth from falsehood, reality from imagination. “Freezing Land” (2016-ongoing) is the well-researched photojournalistic work that earned Chen Ronghui the special Alpa Prize at this year’s Three Shadows Photography Award ceremony. Including text, statistics, video, and photography, it is a socio-economic and historical investigation into the current state of things in the once-prosperous industrial cities of the “Dongbei” region (literally “Northeast”) in China. In the related photographic series, snow-coated post-industrial wastelands and semi-abandoned interiors are juxtaposed against the appearance of cheerless youngsters caught in puzzling situations – e.g. the queer boy gazing emptily while holding a wig in “Freezing Land No. 30”, or the two male teenagers kneeling down hand-in-hand on a concrete platform by a frozen water pond while smoking one in front of the other in “Freezing Land No. 24.” For some reason unable or unwilling to leave their native towns even as the vast majority of the other locals have migrated away, Chen Ronghui’s protagonists are those forgotten kids left behind in withering townships. In this solitary and jobless life, in which traditional methods of socialization have become more and more obsolete, a parallel digital existence has progressively become the major vehicle for expression. Video-sharing and live-streaming apps like“Kuaishou” (literally “quick hand”) are developing rapidly and for many young people living in the freezing land represent one of the few chances to make friends and/or try to make a living. “Memory Caustics” (2017) is the work of multimedia sculptor, filmmaker and photographer Zhang Wenxin (b. 1989). It was selected for “Ten Directions: the Tenth Anniversary Exhibition of the Three Shadows Award” (June 9 – Aug 5, 2018), a special group show featuring the recent creations of 38 out of the 200 finalists and winners who competed in the ten past editions of the TSPA. In this art piece, a collection of photographs from Zhang’s past journeys serves as visual source material for the creation of a 3D virtual reality animation in which the artist’s anthropomorphic avatar re-accesses places visited earlier in her life in and re-performs the same actions once carried out in those venues. The result is a fascinating, hallucinatory descent into a crepuscular, timeless world. A bass-heavy, aquatic electronic soundtrack shrouds the video. Taking on an existential character, “Memory Caustics” stares hard at the potential of artificial intelligence, triggering a series of reflections that range from the technical ability to reproduce personal memories ad nauseam, to ethical questions arising from the actual possibility, maybe in the not so far near future, to have other people’s memories – real or fabricated – implanted in both humans and robots. What is the profile of Chinese collectors and how photography market is developing? Any different aspects from western photography market? Over the past few years, the Chinese photography market has been developing quickly. On the one hand, it’s showcased an increasingly sophisticated taste on the part of dedicated connoisseurs. On the other, a brand new generation of collectors has emerged. Besides an increased appetite for early Chinese photography and works by Japanese masters, including but not limited to the main figures of the so-called Provoke Generation from the ‘60s and ‘70s, we have recently witnessed a rapid growth of interest in the work of young local talents – see, among the others, Chen Ronghui, Chen Zhe, and Zhang Kechun. With respect to Western photography, the general trend is still to collect classic works by the acknowledged international masters. But things are changing there also, with Chinese collectors being more and more engaged in the most recent developments of contemporary international photography. How do you choose the photographers who exhibit at Three Shadows? Quality is a necessary prerogative for photographers who show at Three Shadows. At the same time, the message conveyed by the photographers’ works must be relevant both to the local and international audience, with a particular emphasis placed on the Asian public. For instance, “Muntadas: Asian Protocols” is a mixed-media exhibition resulting from a six-year study of the cultural, socio-economical, political and historical relations that bind and distinguish China, Japan and South Korea. Ambitious and innovative in both form and content, the project is an examination of the social norms and protocols that govern private and public space in the megacities of Beijing, Seoul, and Tokyo. After the Korean and Japanese site-specific installations in 2014 and 2016, respectively, Spanish conceptual master Antoni Muntadas developed the Chinese portion of the exhibition mainly while working as an artist-in-residence at Three Shadows in 2016 and, the following year, as a visiting professor at the Central Academy of Fine Arts in Beijing. Held in the summer of 2018, this show perfectly responded to these aims of Three Shadows: to encourage conceptual investigation, experimentation in artistic practice, and multi-cultural exchange. 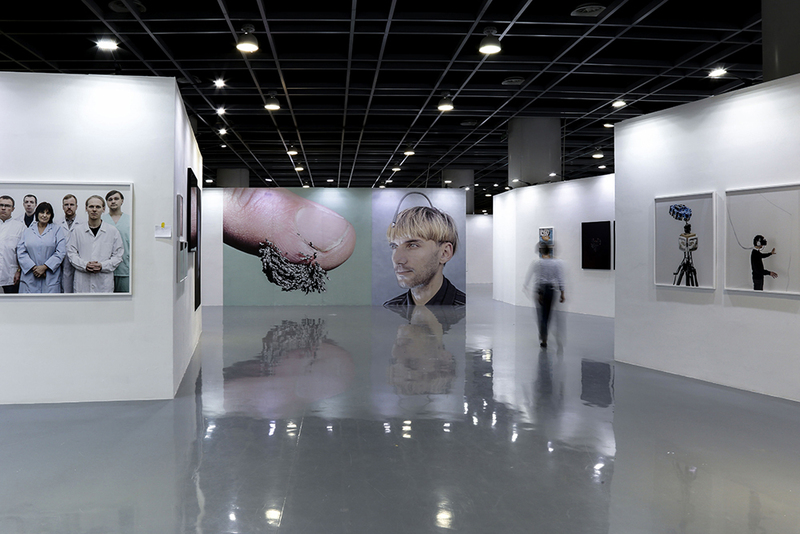 The exhibition program at Three Shadows in Beijing includes four or five exhibitions a year, with each featuring one, two, or three shows at the same time. Three Shadows in Xiamen follows more or less the same system with a program that is a bit different from that in Beijing. The yearly selection is divided between Chinese and non-Chinese exhibitions, with one-man shows by mid-career and master photographers from both Asia and the West, and other more experimental shows featuring recent work by emerging artists. From time to time, Three Shadows organizes historical group exhibitions based on comprehensive scholarly research, as in the case of “40 Years of Chinese Contemporary Photography – Three Shadows 10th Anniversary Special Exhibition (2017)” or “Chinese Photography: Twentieth Century and Beyond” (2015). Our signature shows often travel to other museums in China and abroad, and from time to time we host exhibitions coming from our partner institutions – e.g. 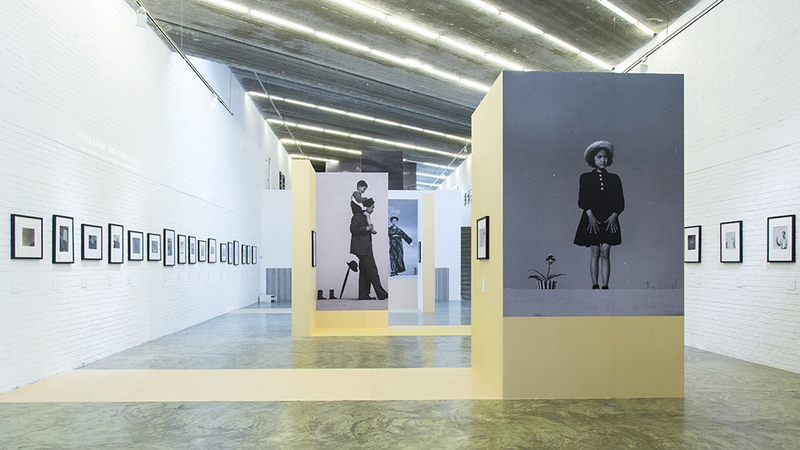 “Another Way of Telling”, the two-man show by British photographers Anna Fox and Karen Knorr, co-organized with SCoP in Shanghai, where it was exhibited earlier this year. Generally speaking, when we present more than one concurrent exhibition, we link them conceptually and/or formally in order to create an organic experience for the visitor. One example is the acclaimed Shoji Ueda retrospective hosted by Three Shadows between September and November 2018, which was paired with Michael Cherney’s one man show “The Heart-Mind Learns From the Eyes: The Art of Michael Cherney” – the latter organized under the umbrella of the Three Shadows +3 Gallery. The first featured 139 original gelatin silver prints by a Japanese master looking at Western artistic trends like Surrealism. Cherney’s exhibition provided a counterbalance – it was a selection of works by an American photographer and sinologist who has being living in China for almost three decades and has dedicated his life to the thorough study of the Chinese and Asian culture and the artistic forms of poetry, calligraphy, and ink painting. How do you foresee photography will develop in China, from a commercial and cultural point of view? I am pretty optimistic about the future development of photography – and contemporary art in general – in China, both from the point of view of the photographers’ artistic practice and that of the market response. Local artists are generally well trained both technically and conceptually. Younger ones are very knowledgeable and interested in the international artistic debate and new experiments with the most advanced technologies. At the same time, Chinese photography exhibitions of a historical character like “Chinese Photography: Twentieth Century and Beyond” and “40 Years of Chinese Contemporary Photography” and the related publications are welcomed by the general audience, demonstrating increased attention to the historical development of photography in China. In recent years, a growing number of institutions solely dedicated to contemporary photography have been appearing around China by the hand of photographers or passionate collectors. Among them, the Shanghai Centre of Photography (SCoP), founded in 2015, and other private museums such as the Light Society in Beijing (2018). As contemporary photography gains increasing accessibility through different scholarly and commercial platforms like museum and gallery exhibitions, digital platforms, publications, as well as dedicated art fairs – see Photofairs Shanghai, the first fair dedicated to photography in China, this year in its fifth edition – and auction sales – this all points to a rising number of new Chinese collectors. Nataline Colonnello is a specialist in Chinese contemporary art. Living in China since 2001, she has been a part of Chinese art circles for well over a decade, leading major galleries like Galerie Urs Meile and Ink Studio. As an art critic, her essays and interviews have appeared in numerous international publications, exhibition catalogues and monographs. She currently serves as the director of Three Shadows Photography Art Centre in Beijing, the leading private institution in China dedicated solely to photography.